Motivate you… Push you… Inspire you… to do 5 More. 5 More Personal Training is an at home Personal Training company that has provided fitness and health services in the York and Durham Regions for over two decades, including Thornhill, Richmond Hill, Aurora, Newmarket, Pickering, Ajax and Whitby. Personal training is ideal for anyone... from the beginner, to those that are training for a sport-specific event and are looking for one-on-one instruction and motivation from an experienced Personal Trainer. Finding time to exercise in today's busy society is not easy and staying motivated and exercising at the right intensity can be a bit of guess work. 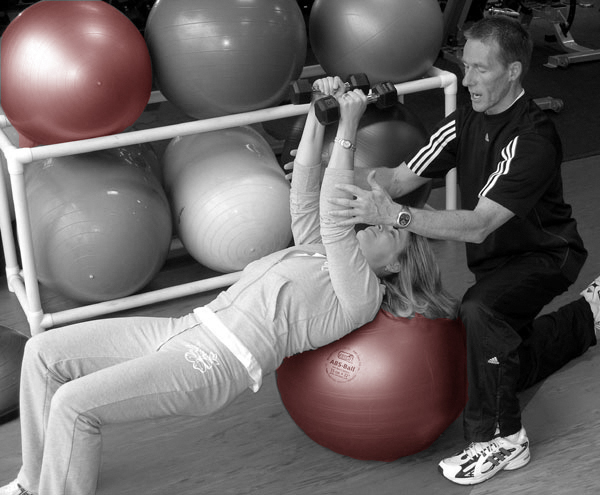 Working with a Personal Trainer removes all that guess work from your fitness routine. Get the most out of your precious time with effective and motivating workouts. We all know that to be our best - both mentally and physically - we need to push ourselves. But that isn't always easy to do on our own. 5 More Personal Trainers will... motivate you... push you... encourage you... to do... 5 More.